Keiko Nakagawa is currently working in the Malaysia National Symphony Orchestra as a principal flutist. She has been involving in many solo recitals, chamber concerts and orchestra performances, as well as soloist with several orchestras. Keiko is also a dedicated music instructor, teaching at the University of Malaya (Music Department) recently. 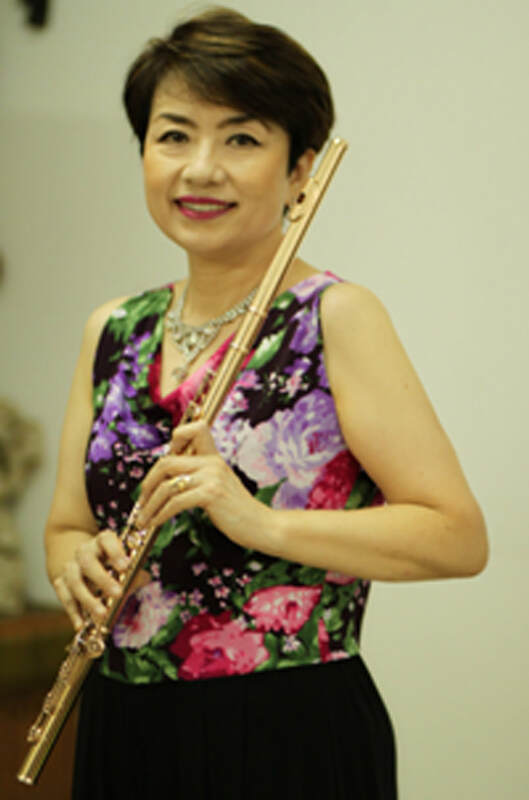 Before she moved to Malaysia in 2000, she was also a director of The Japan Flute Association. She is the founder of The Mahoroba Flute Orchestra and the chairman of the Flute Festival in Nara, Japan. In 2007 in Malaysia, she released her Solo Album; titled JAMBATAN (for cultural Bridge between Malaysia and Japan). She was chairman for the the highly successful Flute Festival in Malaysia as an event for “Malaysia-Japan friendship 50 years anniversary". Keiko returned to organize The Jambatan Concert for 60 years anniversary in 2017. She was awarded for the Japan Foreign Minister’s Commendation 2016 as an expression of profound appreciation and respect of her continuous efforts.